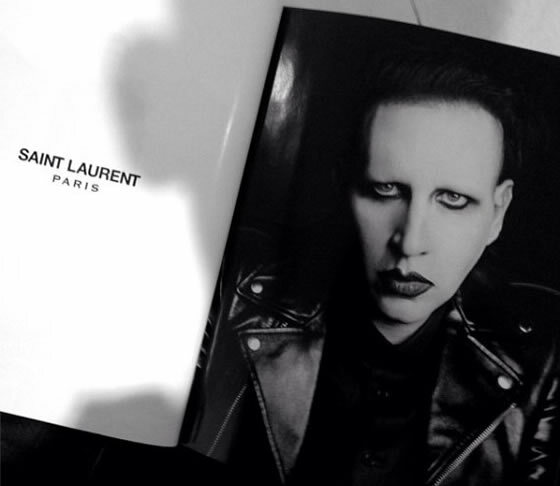 Will Marilyn Manson be a good image for Saint Laurent? Saint Laurent is known for picking odd people for its campaigns but Marilyn Manson is a little bit more than odd. I’m not the typical person that will buy Yves Saint Laurent clothes for the men in my life but I’m sure Marilyn Manson would not change my mind. Anyway if we look at this as a marketing strategy maybe it’s not a bad deal at all. The decision of choosing Manson for the new face has taken everybody by surprise and its everywhere. So the thing is, are they using the rock star just as a marketing strategy or is Saint Laurent just trying to get inside the neo-grunge and gothic scene that is being built since Hedi Slimane is in charge?